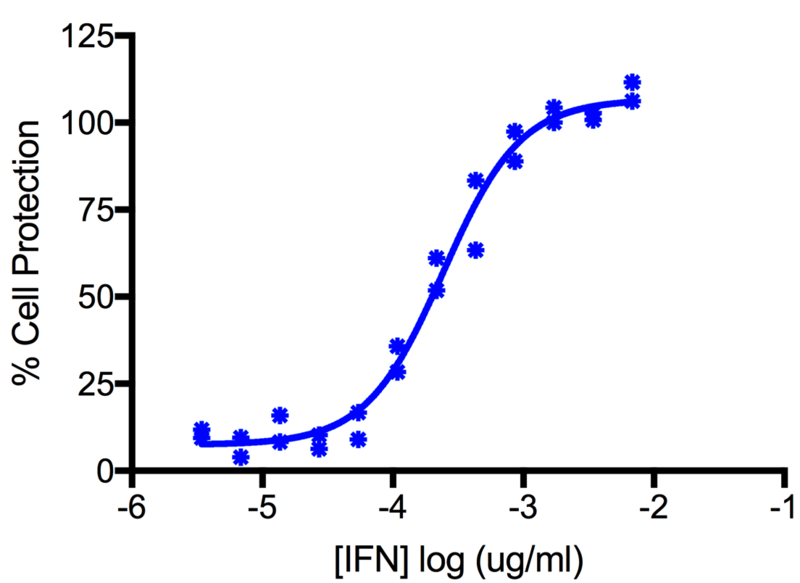 Interferon lambda 1 (IL-29), interferon lambda 2 (IL-28A) and interferon lambda 3 (IL-28B) are recently identified members of the IL-10 family, which have antiviral activity similar to type I interferons. They mediate this activity through a heterodimeric receptor complex that is composed of the IL-10 receptor β (IL-10 Rβ) and a novel IL-28 receptor α (IL-28 Rα, also known as IFN-λ R1). Engagement of this receptor leads to Jak-STAT signaling and gene expression. 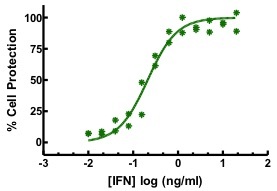 Many of the effects of interferon lambda on cells overlap that of Type I interferon. Unlike the type I interferon receptor which is on virtually all cells, the type III receptor is limited in its expression1. Interferon lambda 1 encodes a 181 AA mature protein which is 67% and 69% identical with interferon lambda 2 and interferon lambda 3, respectively. Donnelly RP, Kotenko SV, 2010. Interferon-lambda: a new addition to an old family. J Interferon Cytokie Res. 8:555-564.